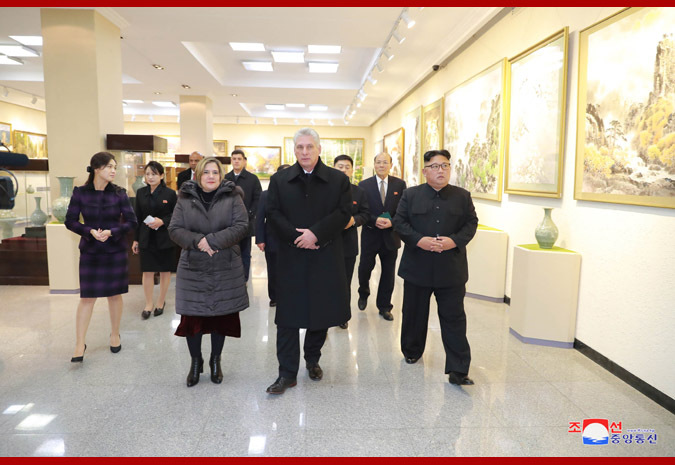 Pyongyang, November 6 (KCNA) -- Miguel Mario Diaz-Canel Bermudez, president of the Council of State and president of the Council of Ministers of the Republic of Cuba, and his wife Lis Cuesta Perasa visited the Mansudae Art Studio on Monday. Kim Jong Un, chairman of the Workers' Party of Korea and chairman of the State Affairs Commission of the Democratic People's Republic of Korea, and his wife Ri Sol Ju accompanied Miguel Mario Diaz-Canel Bermudez and his wife. 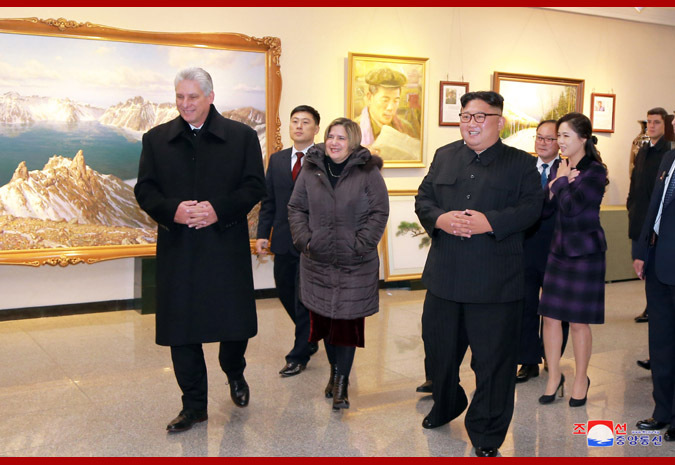 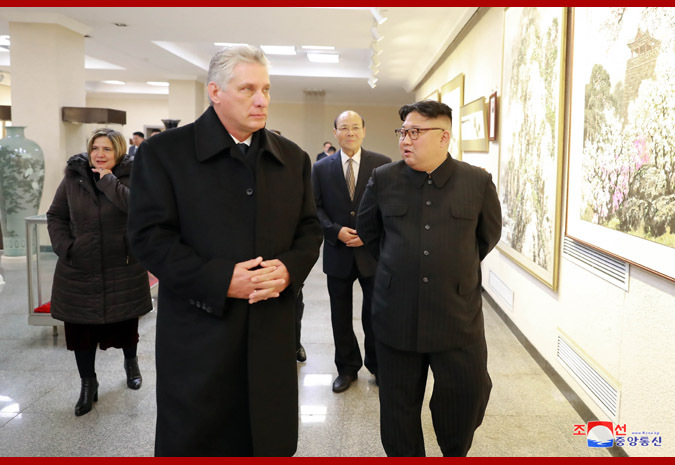 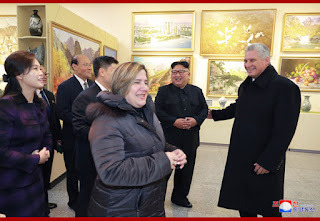 Supreme Leader of the Party, state and army Kim Jong Un and his wife, Miguel Mario Diaz-Canel Bermudez and his wife were warmly greeted by leading officials of the studio. The Cuban president and his wife looked round the exhibition hall of fine art works, being told that the studio has developed into a world-class art studio. Total withdrawal of part-time job! 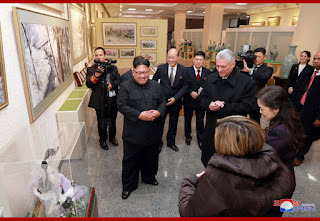 UK KFA denounces BBC !